A. A beautiful Japanese garden in "Shogun World", one of the other theme parks ( in addition to "Westworld" ) run by the Delos Corporation. The park is a simulation of feudal Japan. Q. When do we see it? A. In Episode 6, of Season 2, "Phase Space". …where Akane ritually cremates Sakura’s heart at a shrine.. 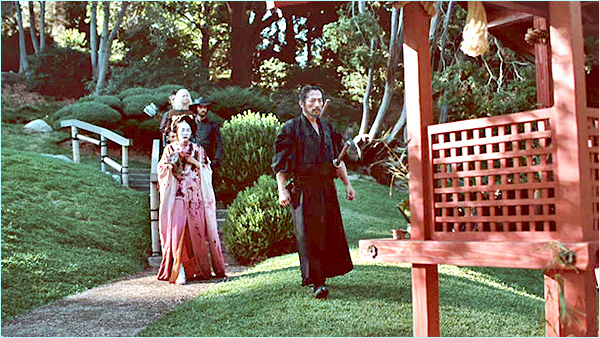 While there, Maeve accesses a hidden tunnel beneath a Japanese tsurigane bell, which leads back to the Westworld control area. Q. What is it in real life? A. A modern Japanese garden – but nowhere near Japan. A. 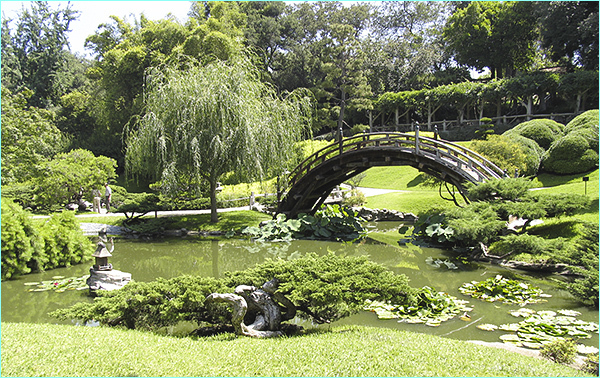 "Snow Lake" is actually the beautiful Japanese garden at The Huntington, (near Pasadena) in San Marino, California . But bear in mind that they threw in a touch of CGI along the way. 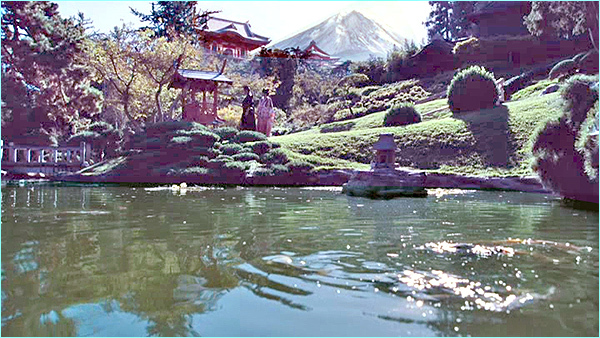 That view of Mount Fuji in the background, for instance, is an obvious fake. And some elements within the more distant shots appear to have been doctored and rearranged. The Huntington (officially known as "The Huntington Library, Art Collection, and Botanical Gardens"), the lavishly landscaped former estate of a wealthy real estate tycoon (Henry Huntington), has been the site of many productions over the years, including "The Good Place", the movie "Charlie's Angels", and Marvel's "Agents of S.H.I.E.L.D.". 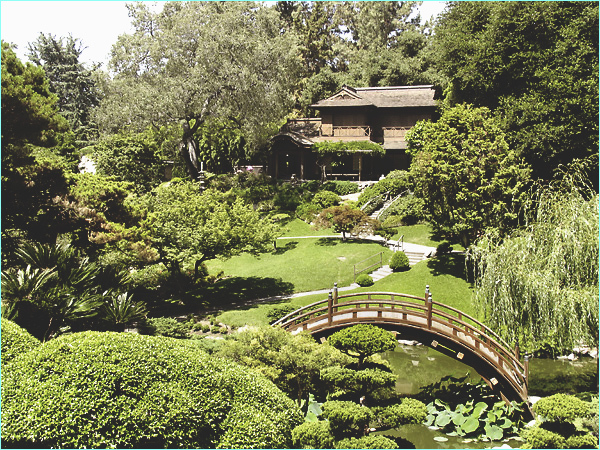 The estate is open to the public, so you can visit this Japanese garden (as well as the other gardens at the estate, and its art museums), and I highly recommend that you do. It is one of the best things Southern California has to offer. Their most recent addition is a new Chinese garden, which has already appeared in more than one production. The address of the Huntington estate is 1151 Oxford Road, San Marino, CA. It is approximately five miles northeast of downtown Los Angeles. 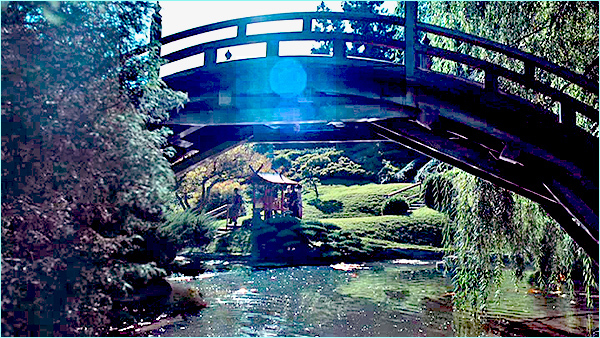 A. I have visited The Huntington many times (it is a fabulous place), have shot photos there of this garden, and have also written about it several times for other filming location pages. 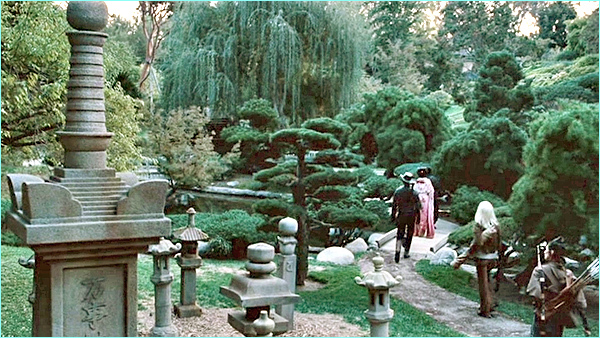 When I first saw the garden in Westworld, I thought that it might actually be the UCLA Japanese garden (which I have also visited), since the two bear a resemblance. 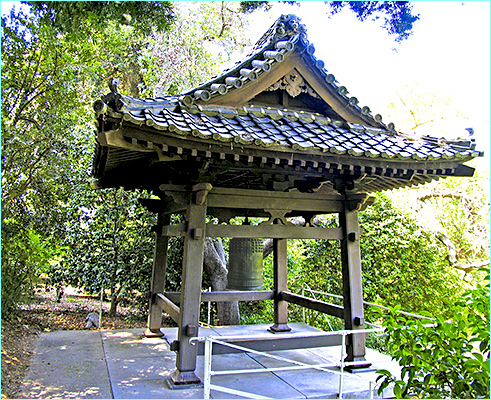 But after a closer look, I realized it was in fact the Huntington garden. The Westworld screenshots from the show & all related characters & elements are trademarks of and © HBO.